Well. I broke the bat. Hit a cinder block and the top came straight off. 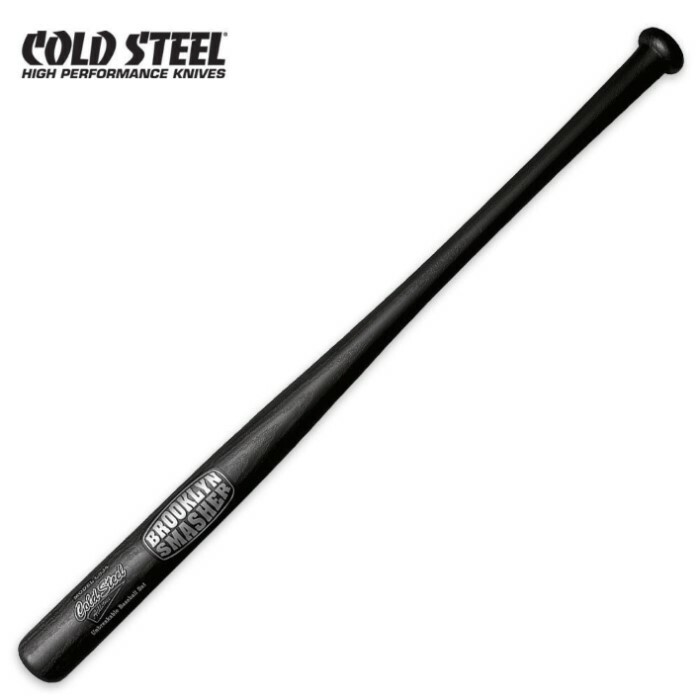 Cool bat but definitely BREAKABLE! I got this bad boy late fall of 2011, and come March 2012, I couldn't take it anymore. I needed to hit something with this thing! So I took three good apples outside smashed them with my Cold Steel Baseball bat! I didn't even put all my strength into it, and them joints flat out Exploded! Sure, because of the material it's made of, it's not meant for use in baseball games. They're more meant for deflecting and breaking things. It's easy to clean as well!